Once you've mastered using the jeweler's saw, there's no limit to the intricate and customized shapes you can create in metal. And in our upcoming live web seminar with Noël Yovovich, that mastery can become yours! 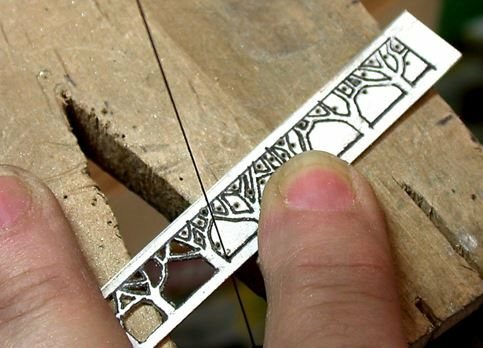 how to get (or avoid getting) a "jeweler's tattoo,"
Noël is a master goldsmith and artisan jewelry maker who has been teaching jewelry making for many years, and you've probably seen her work in Lapidary Journal Jewelry Artist magazine. She's a pro and you'll learn all you could want to know about using a jeweler's saw from her! 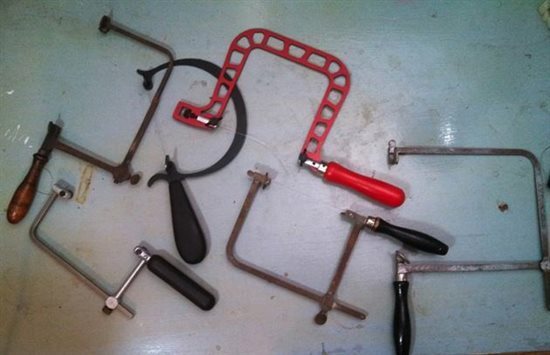 Plus, you'll be able to ask her any questions you have on sawing or using jeweler's saws. Register now and join us Wednesday, April 16, at 1pm ET to master the jeweler's saw! And don't worry if you can't make it then. As always, your registration entitles you to a link to download the entire presentation after it's over. You'll also receive a coupon for 30% off other web seminars so you can keep learning new jewelry-making skills!